"Warning! Do Not Attempt Hunting in the West Until You Have Read Every Word of this Letter." ...and you don't have to be rich or have "The Inside Track"
How much is getting that Trophy Buck worth to you? Suppose you could read a guidebook and be able to take any one of the trophy animals found when hunting in the west? Imagine... glassing from the top of a hill and knowing that you doing exactly the right thing to find that elusive Coues Deer; creep up on him (all the while, knowing you are doing everything perfect-nothing to chance), you pull back that string and let fly. Bang...he's down. You have a trophy animal, the envy of everyone you know. Well, it isn't if you have the right resources. Think about it. Getting close enough to fire your bow is the most powerful skill you could ever have. It takes professional hunter's a lifetime to get down the technique and skill to get to shooting range. Simply put, getting close enough to make a shot is the most important thing any hunter can ever have in his/her arsenal. It could take you years and can cost you a small fortune to figure out just the right combinations that make that "Magic Moment" happen- while others fall flat on their face. The No B.S. Guide to Hunting Animals in the Western States"
At last! Every tip, trick and secret that a professional hunter uses is here. 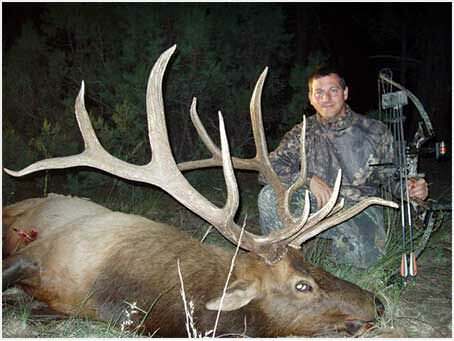 "'I paid a guide $4,800 to score a bull two years ago that was 80x smaller then this one. Thanks to this book I was able to score this great bull on my 07 hunt without a guide!" "'The Secrets Of Hunting Western Game' is the most comprehensive guide for hunting all of the major western animals. I've learned so much from this book, I actually took my first Elk this season because of this book!" 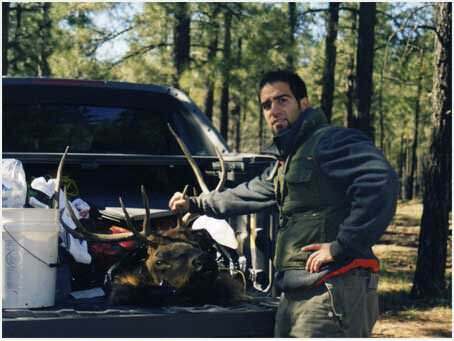 "As a professional guide and hunter, I found material that was not only useful, but really valuable"
"I've lived in Arizona for 15 years and have hunted here the entire time. Yet, I still had no clue how to hunt Javelina. Thank God for John Stallone and his book. It was a one-stop shop for me to find out about how to hunt every type of animal found in this area." "Thanks for all the great info. Thanks to you I scored This nice B/C coues deer in AZ"
"This Book is the best $30 I have ever spent, it made all the difference on my New Mexico Elk Hunt"
Could You Use To Get That Western Trophy You've Always Wanted? The methods that professional hunters (including outfitters and TV hosts) use to get trophy animals...seemingly "at will". Even when hunting in the difficult West. Learn which gear is the best to use, without having to try it out yourself. This alone will save you hundreds, if not, thousands of dollars. Stuff that is build for Southwestern Hunting. 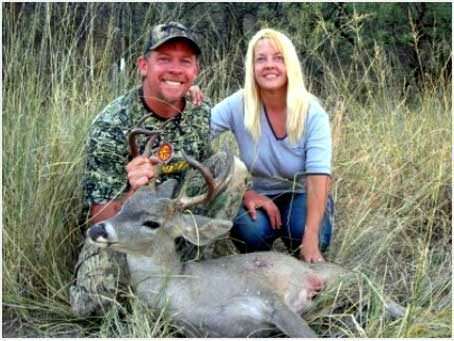 See how the professionals (especially the guys on TV) scout before-hand, so that they are sure to get that "Shot of a life-time"...every-time, w hether hunting Western Bear or SouthWestern Coues Deer. Pick up "Western Stalking Techniques" that are essential if you are going to hunt anywhere West of the Mississippi. Essential for Western Hunting. Check out the "Tracking Index" it is a listing of all the different tracks left by each type of Western Game, with pictures and descriptions of what to look for. Elk, Javelina, Coues Deer, Bear, Mountain Lion, the whole bit. In the Glassing Section, you'll find the "3 Secrets to Proper Glassing". Before you know it you'll be able to pick up things that your buddies would never catch. Learn simple tricks that can get you huge discounts on hunts around the country, this will save you hundreds if not thousands of dollars. Well, realize that this E-book could easily sell for hundreds of dollars. In fact if you asked a top hunter, like myself, to outfit all of this information for you, you'd be charged in the neighborhood of $1,200 to $5,000, not including room and board, plus airfare. (I currently charge a minimum of $1,377 as a guide.) So at bare bones minimum you're getting thousands of dollars worth of my expertise, experience and advice at your disposal. 100% No Questions, No B.S. GuaranteeI personally guarantee that if you Test OutDownload this unique eBook including all 4 Bonuses and if after a full 60 Days, you honestly believe I haven't delivered on this promise then let me know and I'll issue you a prompt and courteous refund. (Take a full sixty days to test drive this course and if you're not happy for any reason, just say the word and I'll refund your money. Plus, the kit, including free bonus gift is yours to keep regardless, just for your trouble. "The Secrets Of Hunting Western Game" at my risk, while you see if they work for you or not. And if they don't produce, I honestly want you to ask for your money back. And I'll let you keep it all as my way of thanking you for giving "The Secrets Of Hunting Western Game" a try. "Why did I make the Guarantee for Sixty Days?" Well, I want you to get a chance to give these techniques a test during the Season. So no matter what time of the year you get this course, you'll be able to try out these methods wherever and whenever you may be hunting. There is absolutely no risk, whatsoever on your part. The burden to deliver is entirely on me. If you don't produce immediate results in your next hunting trip using the secrets found in this book then I'm the loser, not you. "The Secrets of Hunting Western Game"
Download this unique eBook including all 3 Bonuses and if after a full 60 Days, you honestly believe I haven't delivered on this promise then let me know and I'll issue you a prompt and courteous refund. Take a full sixty days to test drive this course and if you're not happy for any reason, just say the word and I'll refund your money. Plus, the kit, including free bonus gift is yours to keep regardless, just for your trouble. Copyright © Secrets Of The Western Game All Rights Reserved.